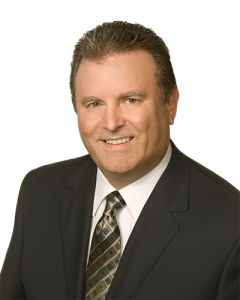 Thomas F. Martin, a workers’ compensation lawyer in Orange County, CA was recognized in the 24th Edition of The Best Lawyers in America publication for his work in workers’ compensation law - claimants. It’s a privilege to help those in need of worker’s compensation legal advice, and I am humbled to be recognized by others in the field. Hosted by Best Lawyers, the publication selects its honorees by conducting a rigorous peer-review survey, which includes more than 7.4 million confidential evaluations by top attorneys. Martin has continuously been included in this list since 1999. Mr. Martin specializes in workers’ compensation law, and has represented thousands of employees injured on the job. He takes a personal interest in every case he takes, and is dedicated to guiding his clients through the legal process. Over the past three decades, Best Lawyers has gained a strong reputation for providing the most credible measure of legal integrity and distinction the United States. The company shares and celebrates top legal talent and accomplishments so others can feel confident in knowing they’ve chosen a high-quality legal representative. This recognition by Best Lawyers will be added to the list of accolades Martin has previously received, which includes being voted as Orange County’s “Best Workers’ Compensation Attorney”, “Workers’ Compensation Trial Lawyer of the Year” by the Orange County Trial Lawyers Association, and listed as one of Southern California’s “Super Lawyers®”. To learn more about Thomas F. Martin’s work, contact Thomas F. Martin, PLC at 714-547-5025 or visit http://www.ThomasFMartinPLC.com.